Discover The Amazing Secret of Maintaining Jointpresc Health And Supporting Joint Mobility! If you’re finding it difficult to bend… walk… pick up objects… put your clothes on… or get out of bed… YOU HAVE COME TO THE RIGHT PLACE / DO NOT STOP READING! Do these uncomfortable every day movements get worse in cold, damp or humid weather? If so, you are not alone! 70 million Americans, 4.5 million Australians and 7 million adults in the UK also experience similar joint discomfort. Unfortunately, many of these people who suffer from poor joint health, joint discomfort and lack of mobility, take doctor recommended drugs - which could in fact be putting them at an increased risk of potentially serious side effects. However, joint pain is just a symptom and a sign of much bigger, more degenerative conditions to come. Don’t just turn off the warning bell with painkillers and don’t just throw the cheapest quick-fix product at it either. You need to address the root cause of the joint pain first or else you could pay a bigger “price” down the line. This is why it’s so important to nourish your joints with natural ingredients proven to help support your body’s ability to manage inflammation…ingredients like turmeric, curcumin, boswellia, piperine, grape seed extract, glucosamine, chondroitin and deer velvet extract. So What Makes These Ingredients So Good For Your Joints? 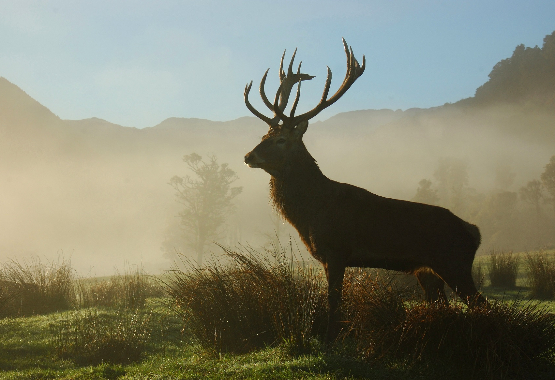 Well, it turns out that studies have showed that a regular programme of natural deer velvet extract supports mobility and energy by the provision of nutrients necessary for the maintenance of healthy joints, cartilage and muscle. But that's not all! Deer velvet also brings other benefits. Support for healthy cholesterol levels, healthy heart and blood pressure are just a few of deer velvet's many good side effects. Deer velvet also provides support for stress, energy levels, strength and endurance. Turmeric is a yellow-coloured powder ground from the root of the turmeric plant. Several recent studies show that turmeric has anti-inflammatory properties and modifies immune system responses. Turmeric has also been shown to block inflammatory cytokines and enzymes, including cyclooxygenase-2 (COX-2). Curcumin has potent anti-oxidant and anti-inflammatory effects and has been found in clinical trials to help decrease joint pain, decrease inflammation, and improve joint mobility and function. Curcumin's anti-inflammatory effects help to reduce irritation to tissues characterized by pain, redness, swelling and heat, which is particularly helpful for people with joint discomfort and stiffness. Boswellia contains a broad range of phytochemicals, including a group called the boswellic acids, which are terpenes. These compounds possess anti-inflammatory properties. Boswellia also helps support healthy blood flow to the joints while breaking up scar tissue surrounding the joints. Piperine is the key chemical in black pepper and enhances the bioavailability of turmeric and curcumin. Piperine can trigger TRPV1 (transient receptor potential vanilloid type-1) in the body. This triggering can reduce pain. Even at low doses, piperine helps decreases the creation of prostaglandin, which contributes to inflammation. Unfortunately, many people try to wade through a maze of products that don’t really address the root cause of the problem but just treat symptoms or else give one small piece of a large and complex puzzle is daunting and confusing for many people, not to mention time consuming and expensive. Joint stiffness and discomfort is often thought of as a normal part of aging. However, ask anyone who finds it almost unbearable to complete everyday tasks which most of us take for granted - and they’ll be forgiven for reaching for any product claiming to help relieve joint discomfort. - Advanced formula that combines 7 different ingredients to attack the problem from all sides. - Experience joint relief and benefit from increased overall vitality throughout your body. - Joint Vitality also contains deer velvet which helps maintain healthy cholesterol, heart function and blood pressure. - If you suffer from stress or low energy levels Joint Vitality will help restore normal balance throughout your body. - Helps maintain healthy skin, hair and nail health along with circulation and cellular function. You can understand now why doctors, naturopaths and other discerning health professionals and consumers are turning to this extraordinary product for its joint health and mobility supporting properties…and also why they keep coming back, month after month, vowing - “never to take a joint supplement from any other brand”. 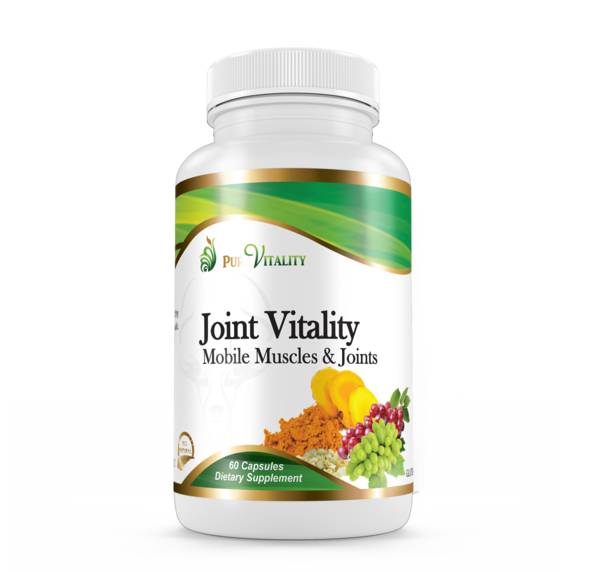 Joint Vitality™ delivers the clinically proven dose of 1500mg of glucosamine hydrochloride and adds chondroitin as well as a special high potency form of hyaluronic acid (joint fluid) which, when taken with glucosamine hydrochloride and chondroitin, showed significantly better joint comfort, flexibility and mobility in studies than glucosamine and chondroitin alone. Also added to the formula are co-factors Selenium, Manganese, Boron, Copper and Zinc together with antioxidants Vitamin E and Grape Seed Extract. By taking all these ingredients together in one capsule you can save money on every bottle purchased and only need to take less than half the number of capsules each day than if you were to buy them separately! Through modern science and technology, mankind's abilities have included sophisticated machinery, space travel, instant communication, and artificial intelligence...however, we still can’t even properly deal with many of the basic health problems plaguing humanity. One of these problems is poor joint health...which can also be a major symptom for more serious health conditions. 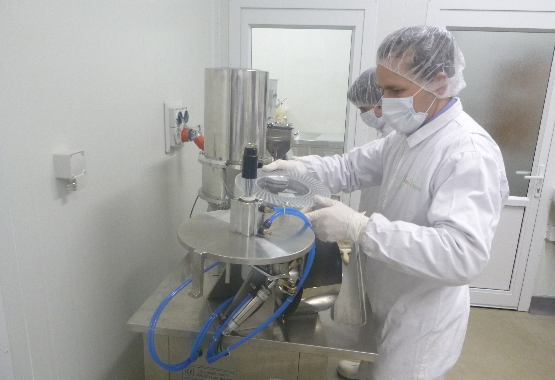 At Pure Vitality, we’re on mission to find a real solution to the problem of poor joint health. 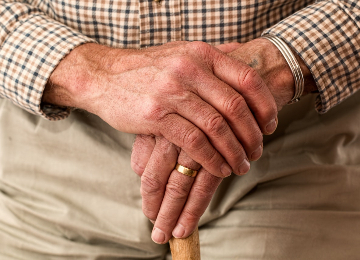 Two thirds of New Zealanders today will develop poor joint health by the age of 70. Unfortunately, many try products that don’t really address the root causes of the problem but rather give one small piece of a large and complex puzzle that is confusing for many people, not to mention time consuming and expensive. At Pure Vitality, we have been on a mission for 10 years to discover the root causes of joint problems. After years of research and trials, we have developed a revolutionary multi pronged approach to joint care that health professionals are calling “second to none”. Joint Vitality is unlike anything else available on the market. We stand behind our products and promise a full 90 day 100% Money Back Guarantee. Be Sure To Look Out For Our Two & Three Bottle Special Offers!